I have come to the conclusion that Ms Cupcake's cookbook is not for the faint hearted (click here for my review). Second recipe in and I am in need of a dentist. 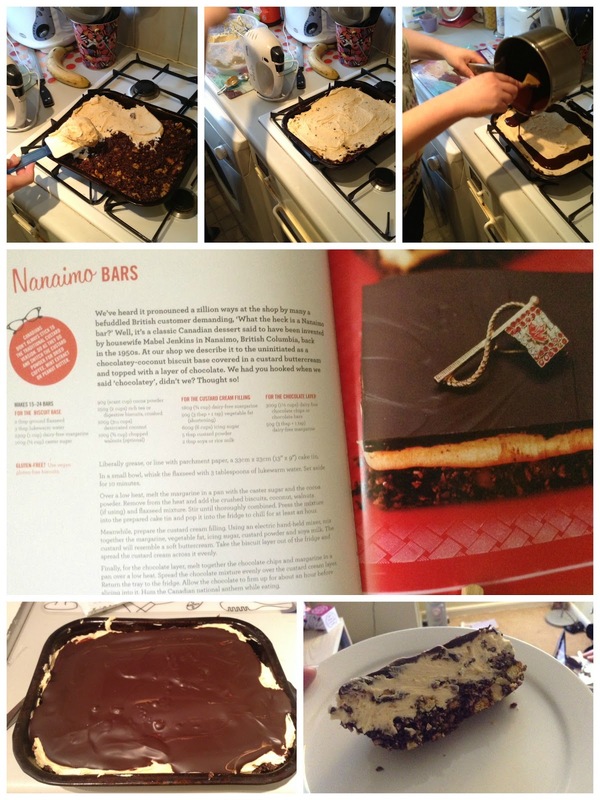 I am not sure I really enjoyed these Nanaimo bars. They are one of those no cooking, fridge based recipes. A biscuit base with coconut, walnuts and cocoa powder, followed by a layer of buttercream and topped off with melted chocolate. I made one change, which is suggested in the book, I substituted custard powder in the buttercream for peanut butter. Ms Cupcake loves her buttercream but I am slowly going off it, in my opinion the quantity is a bit OTT so I will be cutting back in future. I would not make these again. I think I will go back to making plain cupcakes my sweet tooth officially died after eating that one slice pictured above.